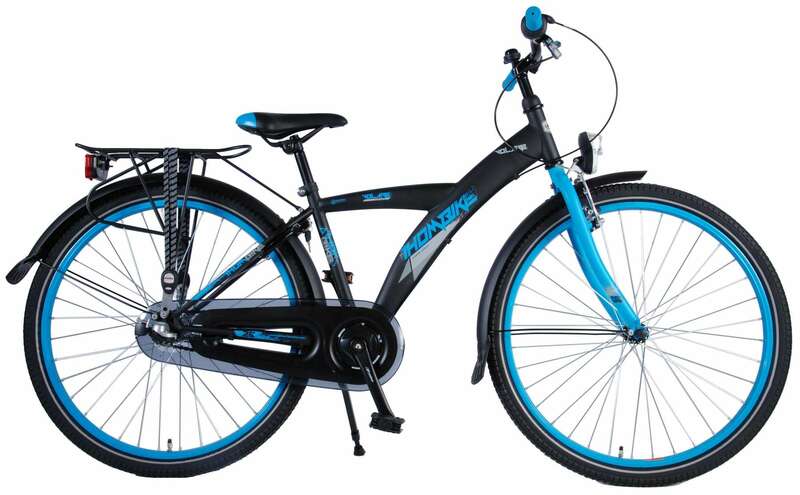 Volare Thombike City Shimano Nexus 3 speed 26 inch boys bicycle 95% assembled. 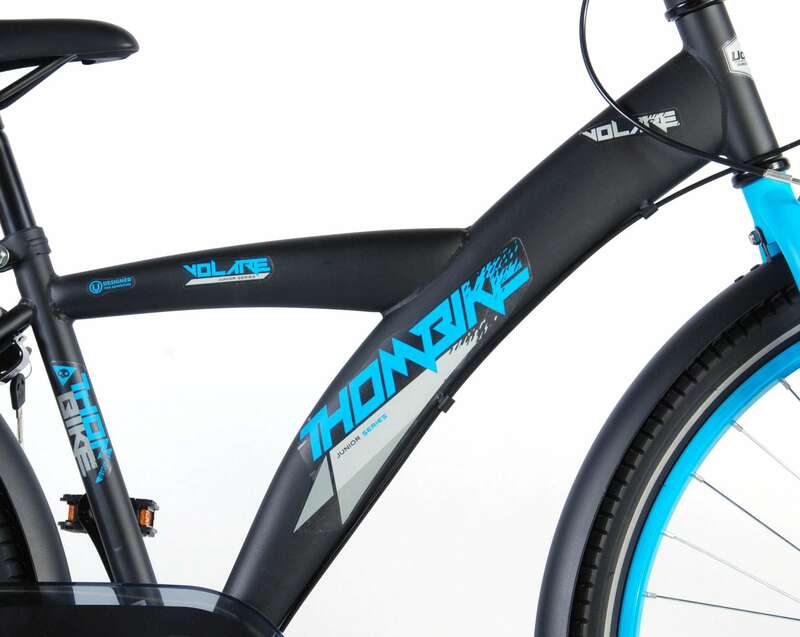 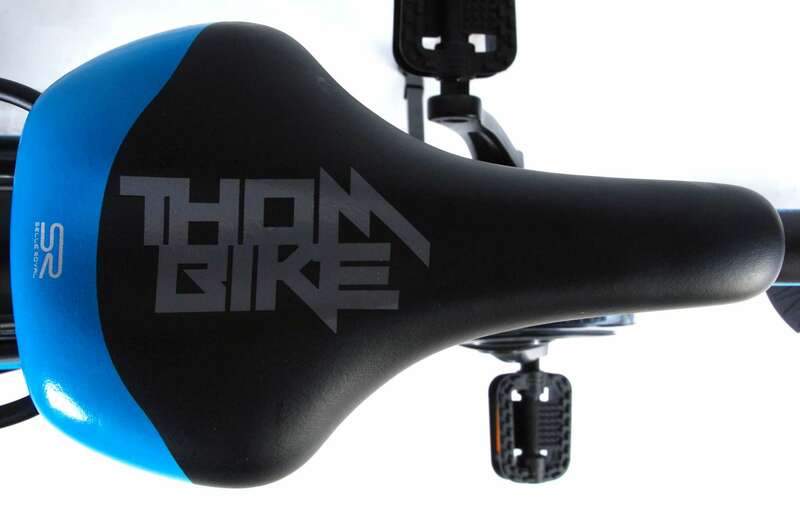 Volare has designed a new Thombike City collection especially for all young adventurers. 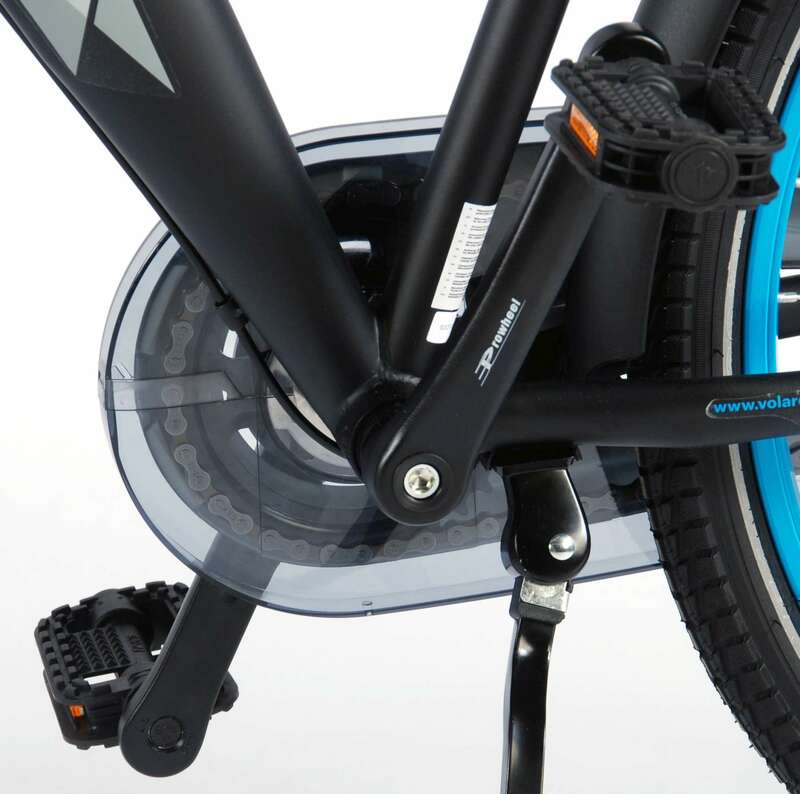 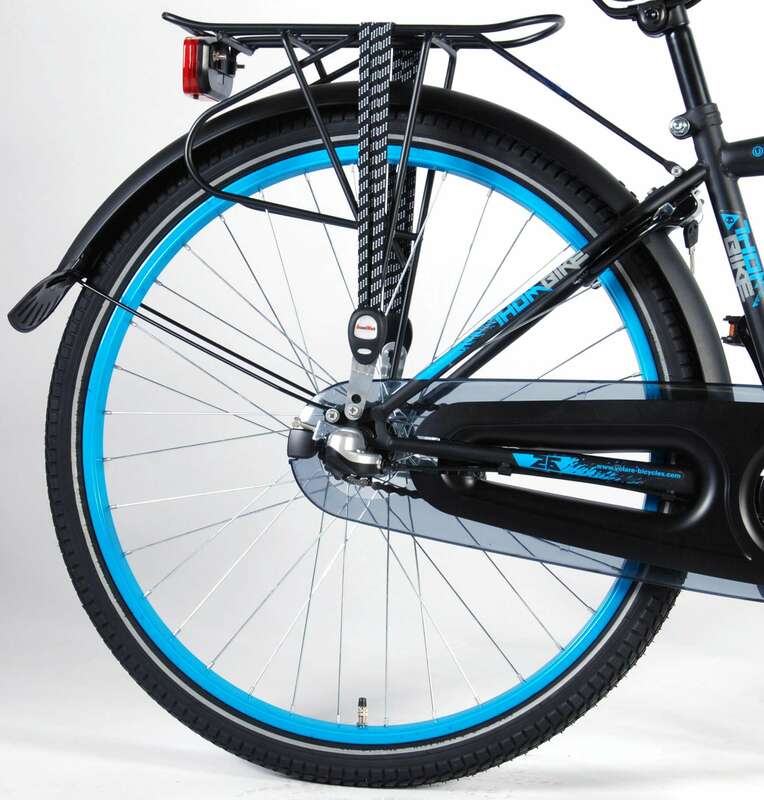 The bike has a super cool frame in a mat black color. 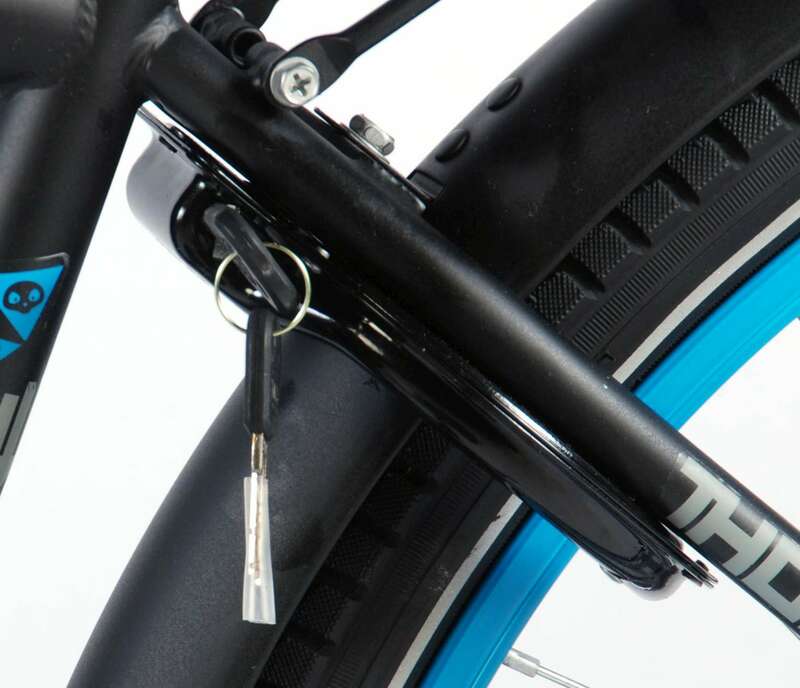 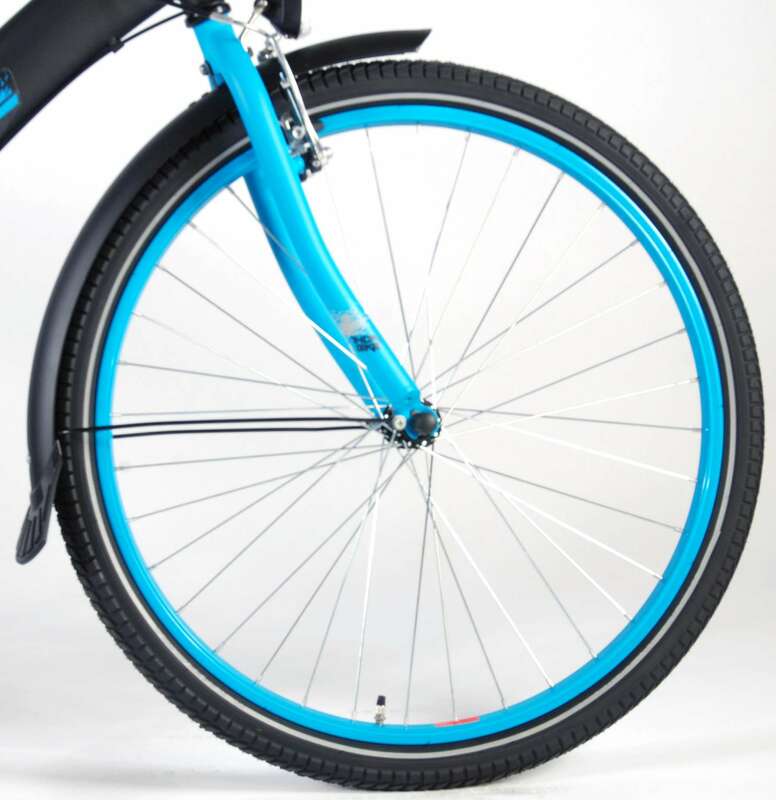 Furthermore, the bicycle has an alloy V- handbrake and a coasterbrake, a bicycle bell, front and rear lighting, a sturdy aluminium kickstand, alloy rims and a lock. 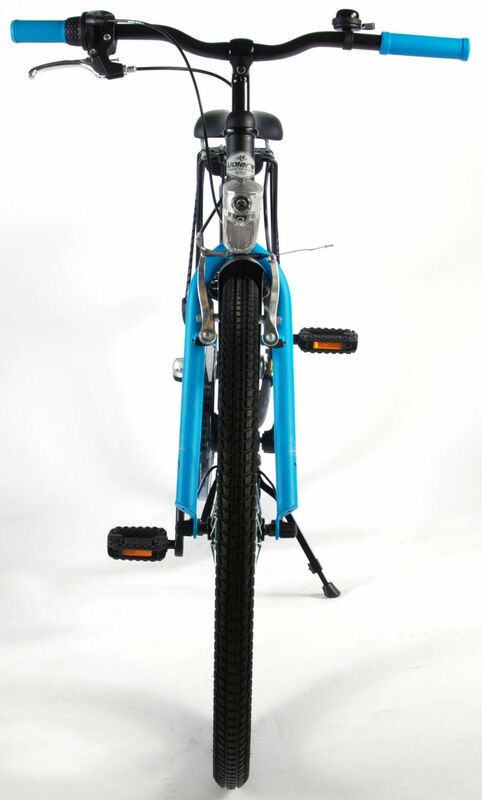 The bicycyle also has a strong rear carrier with a carrier strap. 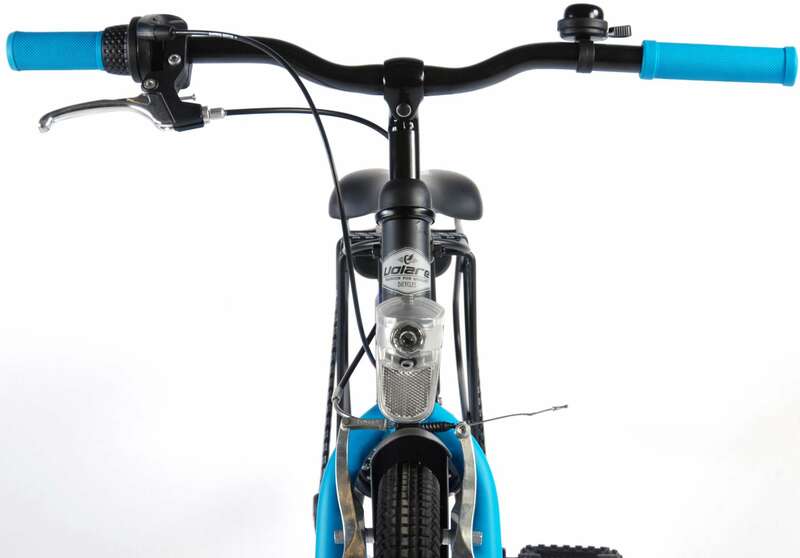 Every boy wants to rock this bike! 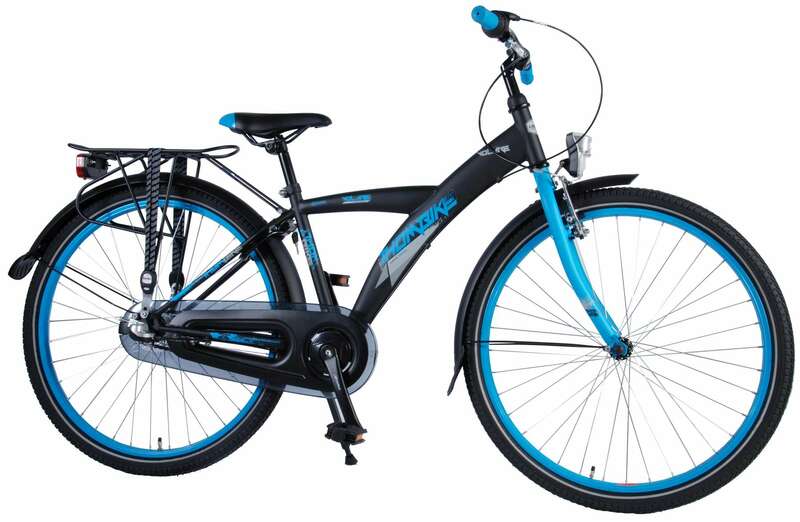 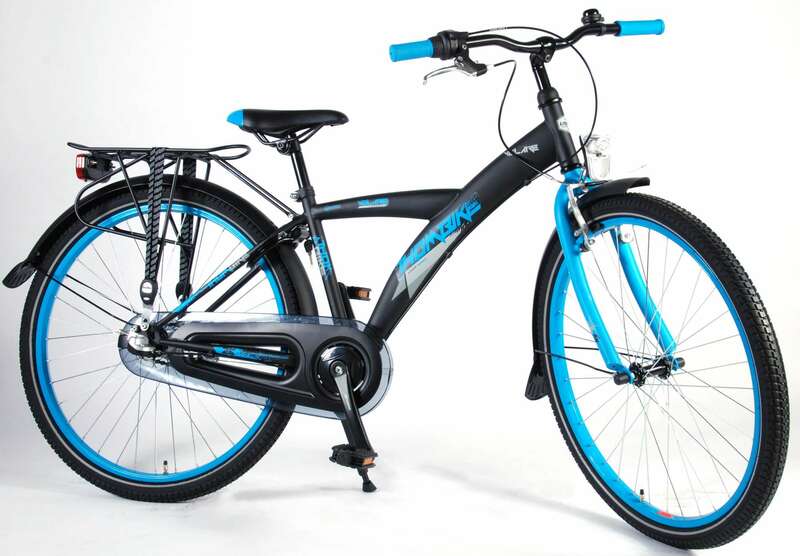 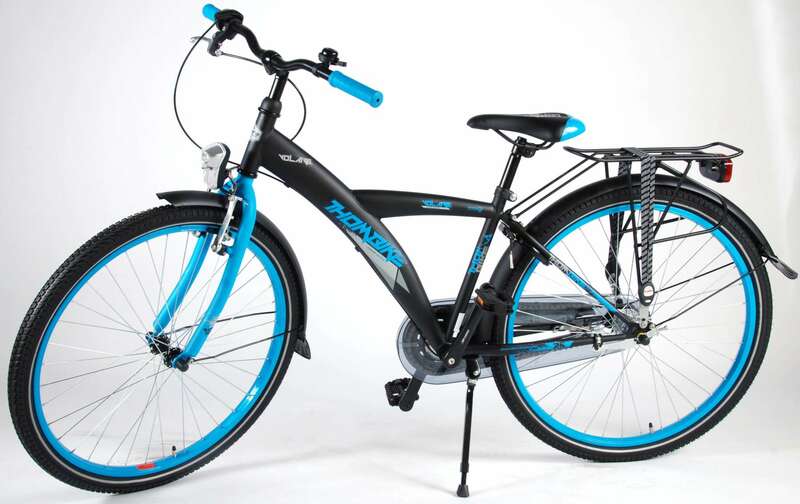 26 inch children's E&L Cycles are suitable for children aged 9 to 12 years with a dress size 140-152. 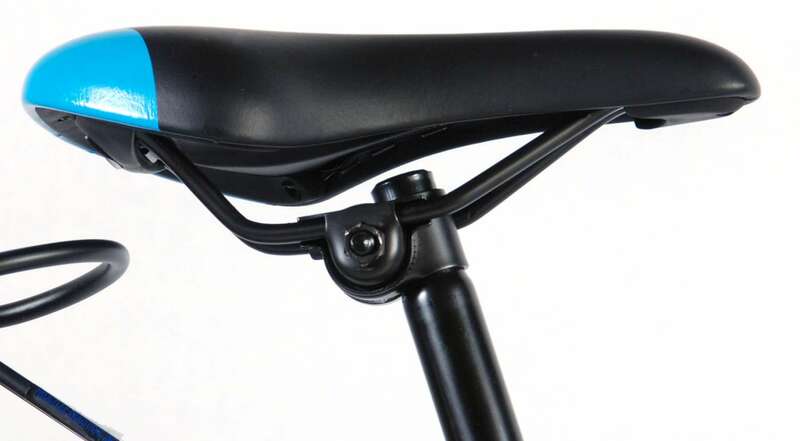 To be used under the direct supervision of an adult. 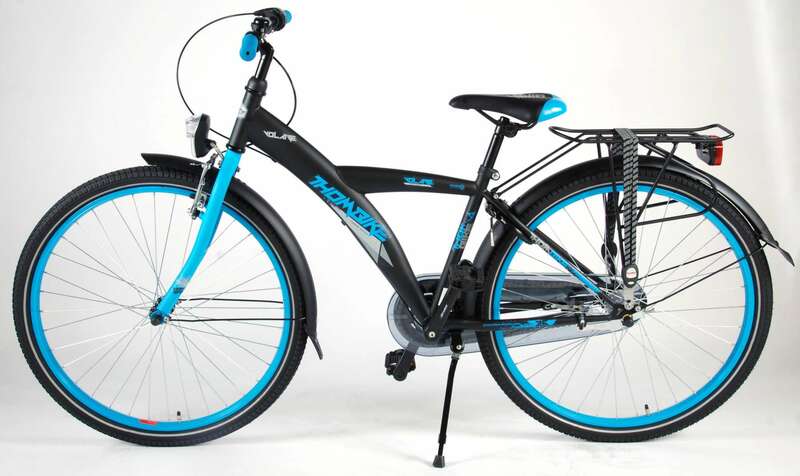 This bike is 95% assembled, so very easy to finish the assembly and nearly ready to run.